It's time to recognise and remember our football legends. To remember him and his achievements, SAYS compiles a list of Malaysian greats who once took Malaysian football to great heights. Get to know them below. 1. Santokh Singh. The national defender was known for two things, his uncompromising defending and his glorious beard. With his brilliant partnership with Soh Chin Aun, no team found it easy to score against Malaysia. A member of the golden generation, Santokh was an uncompromising defender with a subtle touch who served the national team for 12 years ever since his debut in the Jakarta Anniversary tournament in 1973. His partnership with Soh Chin Aun was the most solid defence in the much-feared Malaysian team back then. Santokh currently resides in Setapak area in Kuala Lumpur. Singh appeared for Malaysia in eight qualifiers for various FIFA World Cups. An instrumental defender, Santokh first represented Selangor in the Burnley Cup in 1971 and played for the senior squad a year later. 2. Soh Chin Aun. 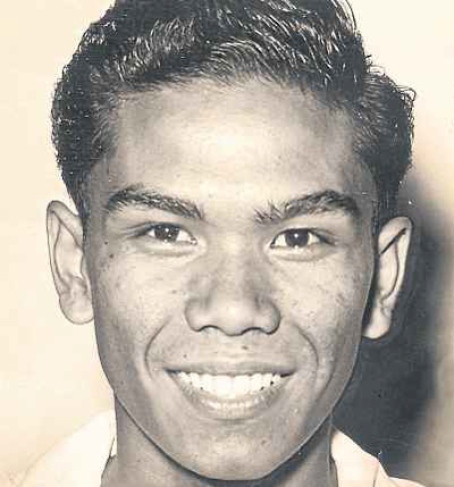 Affectionately known as "Tauke" by his team mates and fans, the Malaccan was an astute defender thanks to the solid partnership with Santokh Singh. He made 252 international appearances for Malaysia, an international record although that claim is not yet recognised. Soh Chin Aun (born July 28, 1950) was a Malaysian national defender and captain from Malacca. He was born on July 28, 1950 in Malacca. He was known as Tauke or Towkay by his team mate and fans. Although not recognised internationally, he was claimed to have had 252 international appearance for his country, making him the most capped international player in the world. Blessed with the uncanny ability to intercept the opponents’ moves, his turn of pace, sense of timing and natural attacking instincts allowed him launch lightning attacks as well. In short, he was the boss, hence the famous nickname ‘Tauke’. Although it is not recognised by FIFA, Soh represented Malaysia 252 times between 1970 and 1985, easily dwarfing Egyptian Ahmed Hassan's world record of 184. 3. James Wong. Manchester United had King Cantona, Liverpool had King Kenny and Malaysia had King James. The Sabahan was well known for his goalscoring prowess and scored the winning goal against South Korea to qualify for the 1980 Olympics. James Wong was a striker who played for Sabah FA and Malaysia. He was known as King James Wong by the local fans and Ah Fook by his teammates. James is well known for his physical and finishing touch. His partnership with Hassan Sani produce many memorable goals for Sabah and Malaysia. The most memorable one was in the 1980 Olympic games qualification. In the 1980 Olympic games qualification, Malaysia manage to win the play-off against South Korea with 2–1 score in the Merdeka Stadium. The scorer of winning goal is James himself thanks to the assist from Hassan Sani. Embedded on the nation’s memory data is James Wong’s winning goal that got Malaysia the ticket to the Olympic Games in Moscow, a cool finish that personified his style as a composed goal-scorer. However, Wong was more than just a striker as his lanky presence and subtle touch complemented the speedy Hassan Sani at Sabah and the power and strength of Mokhtar Dahari at national level. 4. Hassan Sani. Known as "Lipas Kudung" (the term for someone agile), the Sabahan's pace and trickery together with James Wong's skills struck fear in defenders' hearts. 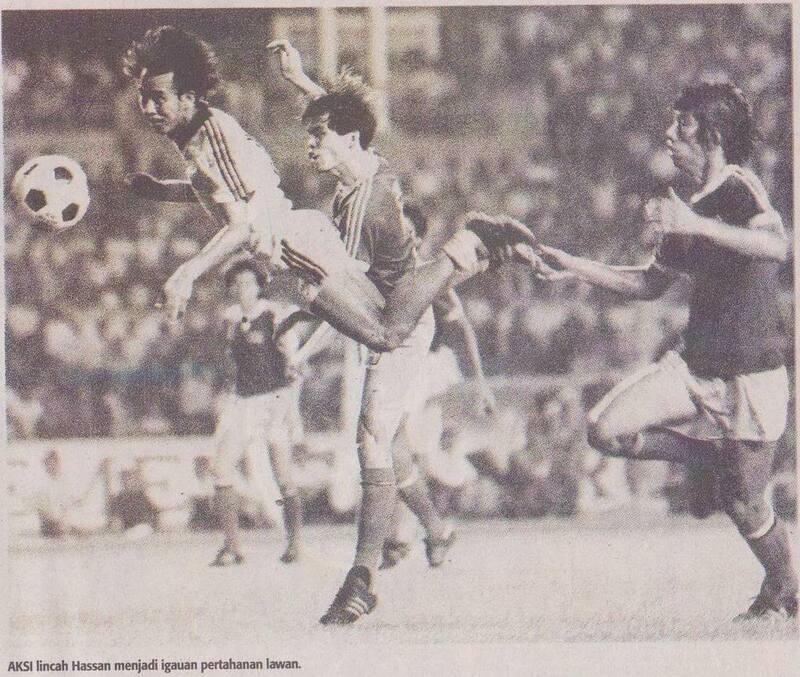 Pace combined with dribbling skills – the two assets that catapulted Hassan Sani not only as a Sabah hero but a darling with the Malaysian squad as well in the late 70s and early 80s. Immortalised on the Internet is a clip of Hassan evading tackles at maximum pace as his marauding run on the right culminated with James Wong’s winning goal to earn Malaysia the ticket to the Moscow Olympics in 1980. 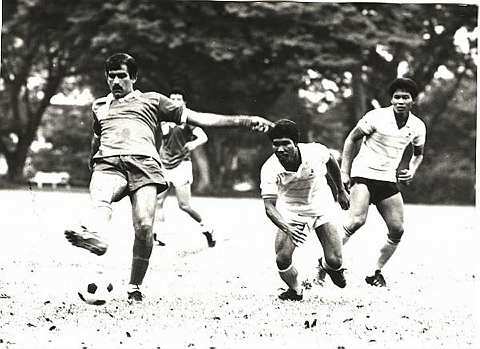 Hassan started representing Malaysia in youth competition from 1977–1978. He was brought into the senior team in 1978 by national team coach Karl Heinz Weigang. He is remembered as a member of the potent strike force comprising the likes of Mokhtar Dahari and James Wong (another player from Sabah). He was called lipas kudung because of his agility. 5. Zainal Abidin Hassan. Can anyone be good at defending and striking? Zainal can and he proved it. 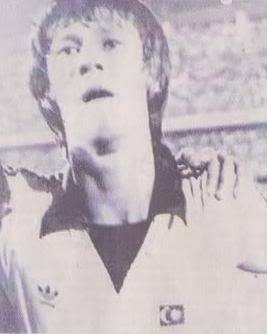 Starting out as a defender, he later became striker and helped Pahang win their first Malaysia Cup in 1983. 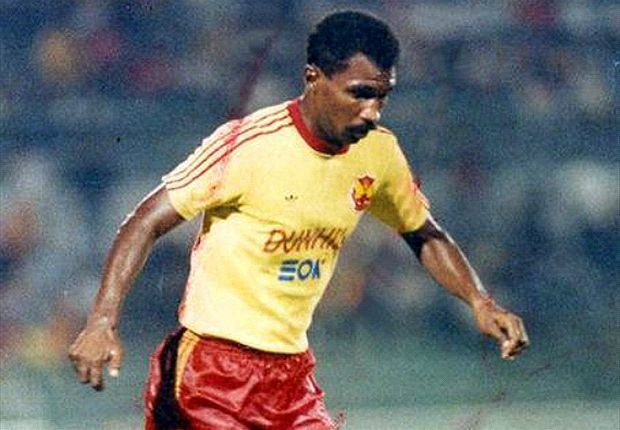 Zainal Abidin Hassan, who first started out as a versatile defender, went on to become one of the most feared strikers in Southeast Asia after he moved to Pahang in 1983, helping the Elephants to win their first Malaysia Cup. He then returned to Selangor to form a deadly partnership with Dollah Salleh, before both transferred to Pahang in 1991, where they became known as the Dream Team with the addition of Singaporean legend Fandi Ahmad. 6. Chow Chee Keong. Chow didn't ply his trade in the country but is recognised as one of the best Asian goalkeepers in the 20th century. He even earned a training stint in West Ham's famous academy! 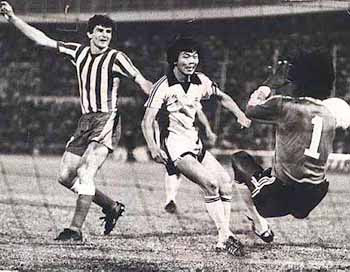 Not many Malaysians had the opportunity of watching Chow Chee Keong in action, especially with him spending the majority of his career playing in the Hong Kong League. However, those who remember will vouch for him as one of the best Malaysian goalkeepers of all time due to his agility in defending his goal. 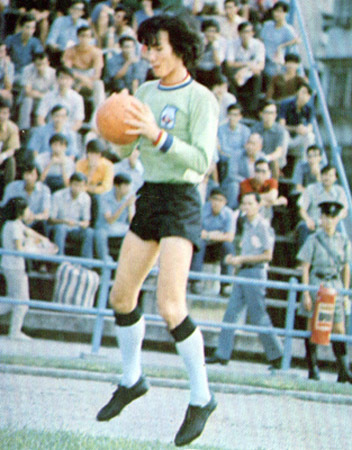 In fact, in a poll conducted by the International Federation of Football History and Statistics (IFHHS), Chow was voted by journalists and former players as one of the best Asian goalkeepers of the 20th century. And that was not all; his repertoire included a short stint with the West Ham United youth team in England, representing Malaysia at the tender age of 15 (FIFTEEN!) against Swedish side Djurgårdens IF Fotboll, and playing against Brazil icon Pele during his time at Hong Kong Rangers. 7. Isa Bakar. Isa is not known for his power and strength, but for his ability to position himself at the right places. His partnership with Mokthar Dahari was a match made in heaven. His game was not based on strength and power as Isa Bakar combined deadly pace with a knack of knowing where the ball would end up that made him a feared goal-scorer. Lanky Isa was the perfect foil to the powerful Mokhtar Dahari, so much so that they became the automatic choice for the two striker positions from 1974 to 1978. Isa Bakar (born 25th December, 1952) was a striker who represented the Malaysian national football team in the 1970s. He played for Penang FA in Malaysia's domestic competition. His goal poaching prowess in his heyday back in the early 1970s, made him a household name and a feared man on the pitch in Asia. He partnered the legendary Mokhtar Dahari when they played for the country together. 8. R. Arumugam. The goalkeeper was known as "Spiderman" throughout his stint. Why? His acrobatic skills and long arms made him almost impossible to beat. Sadly, he lost his life due to a car accident in 1988 aged 35. 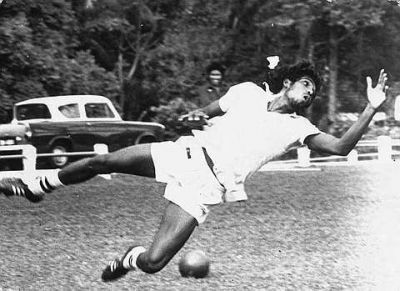 The nickname ‘Spiderman’ was coined to reflect Arumugam’s agility, flamboyance, long arms and a giant safe pair of hands since he made his international debut in the 1973 pre-World Cup in Seoul. With Wong Kam Fook and Chow Chee Keong having pursued their professional ambitions in Hong Kong, Arumugam grabbed the chance to stamp his mark as the undisputed No. 1 custodian. R.Arumugam did more than play the game. In 1983, he formed his own club, Starbrite SC, as part of his personal contribution to the youngsters in his housing area. He was killed in a car accident at Federal Highway near Petaling Jaya on 18 December 1988. He is survived by wife Maria Selvie, and two daughters,Subha Arumugam and Rubha Arumugam . 9. Wong Choon Wah. The Malaysian Paul Scholes, he was known for his ability to pinpoint accurate passes to unlock defences. He was picked as Man of the Match against West Germany in 1971. The best part? He did it all while working in his dad's coffee shop. 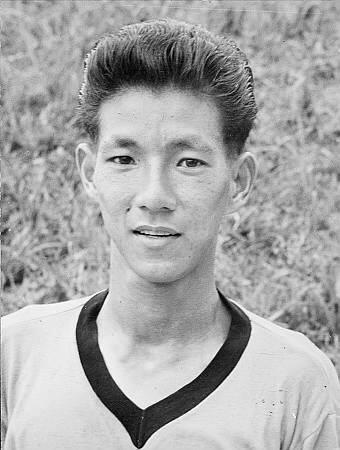 Wong Choon Wah was one of the earliest Malaysian footballers to blaze the professional trail when he played for Hong Kong's South China Athletic Association from 1972 to 1974. He was also fixture of the national team in the 1970s and played all three of Malaysia's matches at the 1972 Munich Olympics. Naturally left footed but equally adept with his right, Wong was capable of producing a stream of accurate short passes and spreading a 50-yard cross-field ball as he dictated the play from the middle of the park. His intelligent passes and positioning saw him famously being picked as the Man of the Match against West Germany, ahead of the likes of Uli Hoeness and Ottmar Hitzfeld, in the Munich 1972. However, his most prominent trait was his professional and humble attitude towards the game. Despite having a day job at his father’s coffee shop, Wong had never missed a training session with Selangor and the national team, which led former national coach Peter Velappan into describing him as “a coach’s dream player”. 10. M.Chandran. 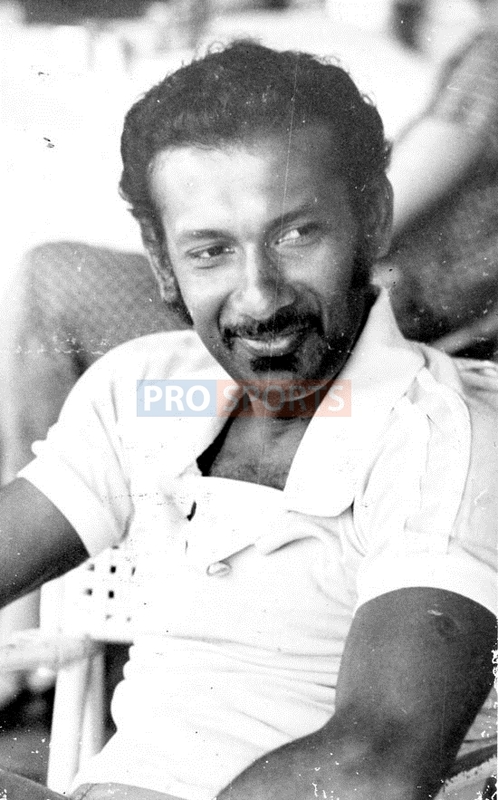 Chandran was a solid rock in defence for Malaysia, and even helped dispose Japan and South Korea to qualify for the 1972 Olympics. He later transited to be a coach for Selangor and Malaysia. Born in Sungai Siput, Perak in 1942, Chandran rose from obscurity as a fringe player in the state team of Selangor, a support of the game in the country, to become a foundation in defense for both state and national teams. The skipper’s armband for both state and country was the inevitable high point of a career that was as solid as the role he played in defense. 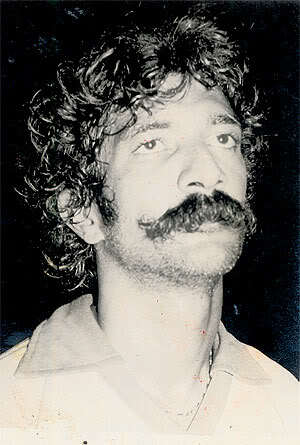 With 163 international caps and having led the national team to their highest level ever, M. Chandran has firmly etched his name in the annals of the greatest defender. As the last man who swept the loose ball and formed a defensive blockade, M. Chandran perfected the art of defending thanks to his astute reading of the game and burst of speed. 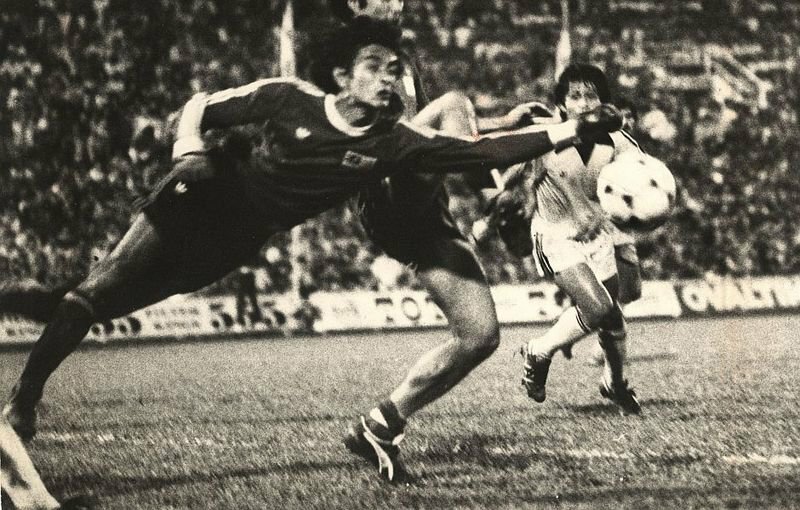 The Selangor central defender was captain of the national team for three years, with leading the team out of the dugout to the 1972 Olympic Games as the highlight of his career. 11. Abdul Ghani Minhat. A two-footed player, Abdul Ghani was a fearsome striker. He went on training stints in English clubs such as West Ham and Arsenal. He was even offered a chance to go pro at Cardiff City but turned it down to go on a study tour. The Negeri Sembilan-born two-footed wizard, who weaved his magic with Selangor and the Malayan team, was not ‘Raja Bola’ for nothing. His dazzling dribbles, poise and thunderous shots known as Ghani Specials became a national treasure, as were his goal-scoring exploits at Asian Games and SEA Games. Until today, Ghani cherishes his many experiences during his days as Malaysia’s top footballer. One of his most invaluable experiences was being sent on attachments to several clubs in England (West Ham United, Arsenal, Spurs) and Germany (Eintracht Frankfurt) in 1962. England’s Cardiff City also offered him a chance to go pro, which he declined, choosing instead to go on a study tour of England and Europe. After he stepped down as a player, the FAM sent him to Japan in 1969, to attend the first FIFA Coaching School for Asian Coaches, earning him his coaching license. 12. Lim Teong Kim. Heard of Thomas Muller? You can thank Lim Teong Kim for his rise to success. The Malaysian trained the young protege in Bayern Munich. When he was younger, Lim played for German side Hertha Berlin and is now the head of development for Malaysian football talent. 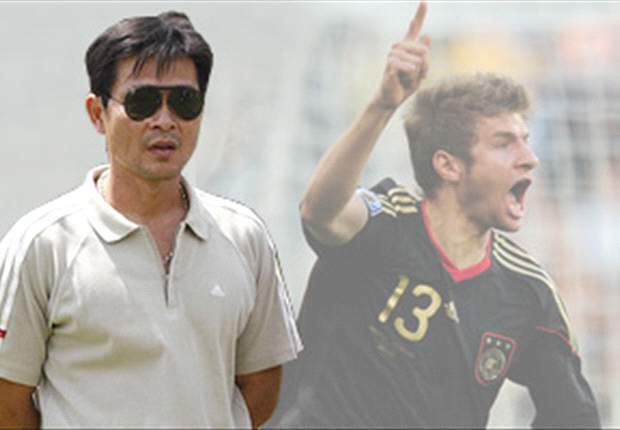 Thomas Muller has taken the world by storm but not many people know that an Asian, and to be precise, a Malaysian, is instrumental in his rapid rise to stardom. Bayern Munich Academy product Muller, 20, wreaked havoc in his first major tournament for Germany scoring four goals and helping the three-time champions reach the FIFA World Cup semi-finals in South Africa. Former Malaysian international Lim Teong Kim, who is working with German Bundesliga giants Bayern Munich since 2000, was the witness of this young hotshot’s development process. Lim, who was the first Malaysian footballer to ply his trade in Europe when he turned out for Hertha Berlin, a then third division team in 1987, has worked together with Muller and another rising star of the formidable German side in South Africa, centre-back Holger Badstuber, when he was coaching the Bayern U-13 and U-14 teams. 13. Mokthar Dahari. The legend, the man, the Supermokh. His goals defeated Arsenal FC, he faced off against Diego Maradona and he scored against England which resulted in a draw. Unfortunately, he passed away due to ALS but he left such a strong legacy behind that there's a musical about him. What can we say about Mokhtar Dahari that has not been mentioned? His game was all about power, pace, accuracy and strength. Allied with a strong sense of discipline, commitment and leadership by example, Mokhtar’s iconic status was illustrated by the ‘Supermokh’ moniker given to him by his devoted fans. For more than a decade, his marauding runs, power-packed shots and diving headers captured the public’s imagination. Mokhtar’s star shone brightly in the 1970s. In 1975, he represented the national team against English giants, Arsenal FC, and won the games 2-0. He scored both goals. Three years later, Mokhtar scored a goal in 1-1 draw against England’s national B team. Mokhtar won his 100th cap for Malaysia’s national football team when he played in the Merdeka Football Tournament match against Japan’s national football team. In 1982, Selangor FA ‘s number 10 had a friendly game against another number 10, Diego Maradona’s Boca Juniors. He was barely 19 years when he played for Malaysia’s national football team in an international match. He played in the Merdeka Tournament from 1972 to 1981. Mokhtar’s record of representing Malaysia at international matches are countless, so are the goals scored by him. Since that day, everything has changed. Liverpool fans, you'll never walk alone.